Is there a mountain of shoes in your closet? Do you wear a hard hat every time you take something off that upper shelf in your closet? Time to organize, my friend, and who better to tell us how to do it is organizing expert Donna Smallin Kuper, author of Clear the Clutter, Find Happiness. 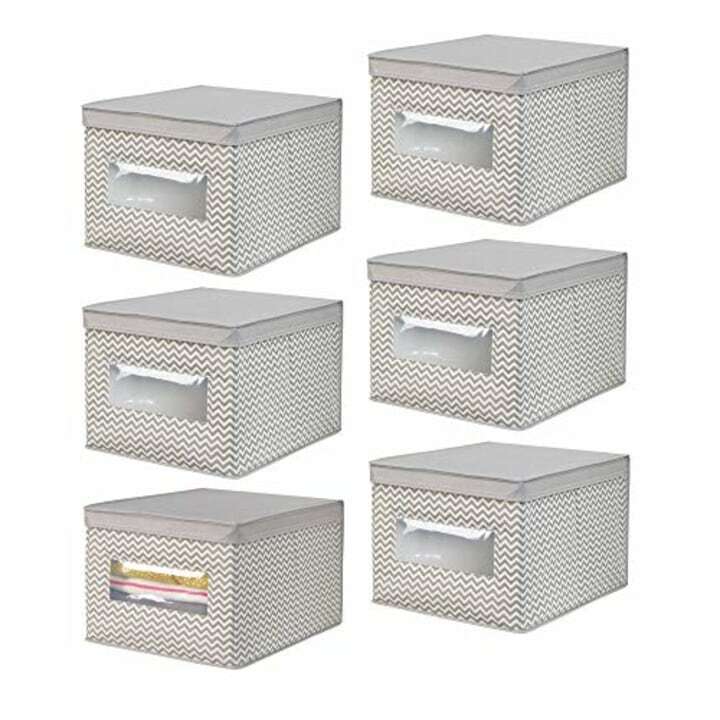 Today she shares some of her favorite organizational tools for keeping bathroom, bedroom and linen closets orderly and neat. Bins are one of the quickest ways to achieve order, says Kuper. 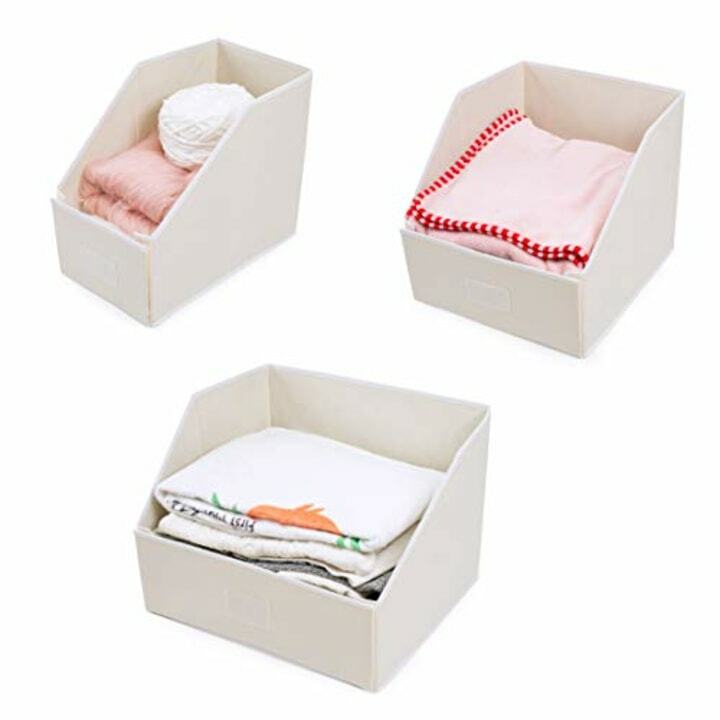 Just remember to use the same style bin/box/basket for an organized, pulled-together look, group like things in each container and label the container clearly. 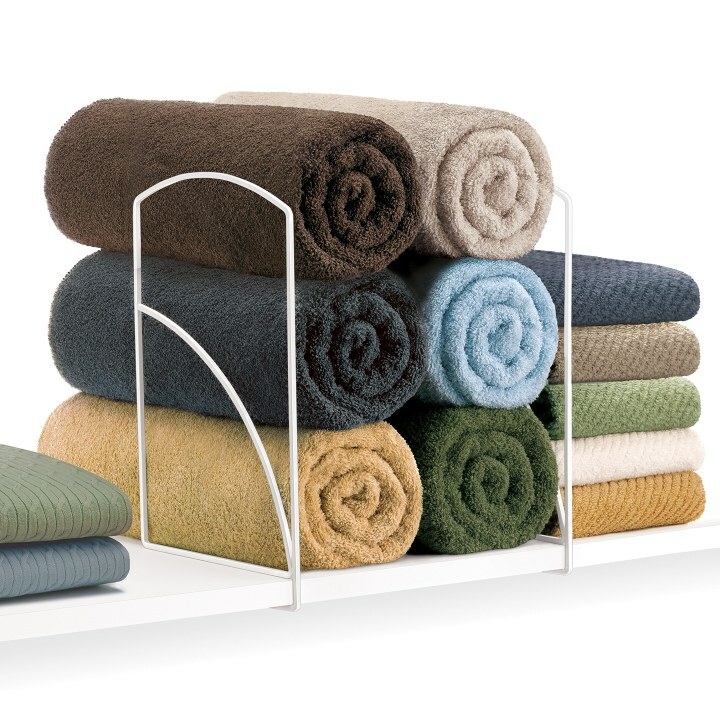 These are especially great for towels and linens. These work well with bulky sweaters or off season clothes since the clear plastic on the front makes it easy to see what's inside without having to open then up. 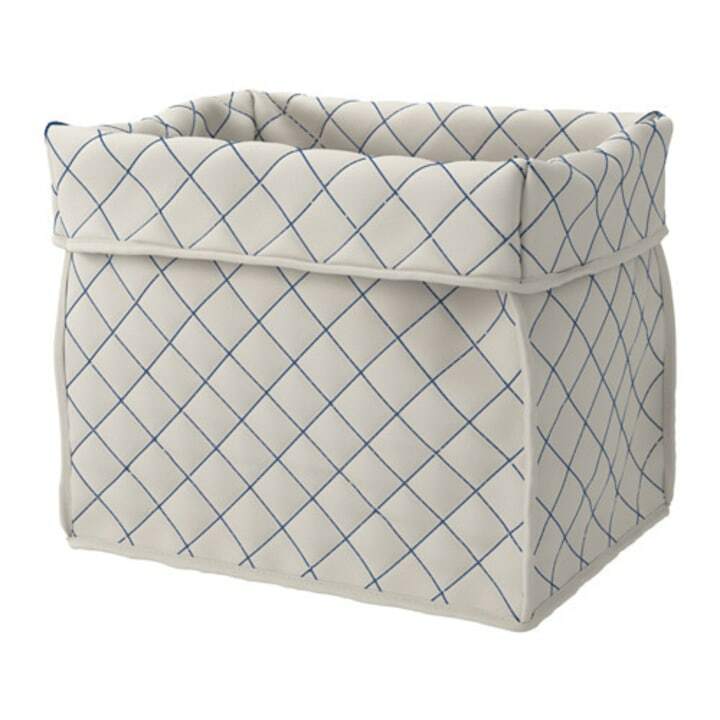 The attractive basket by IKEA has a fold-down top that you can adjust to fit the contents and is even machine washable. 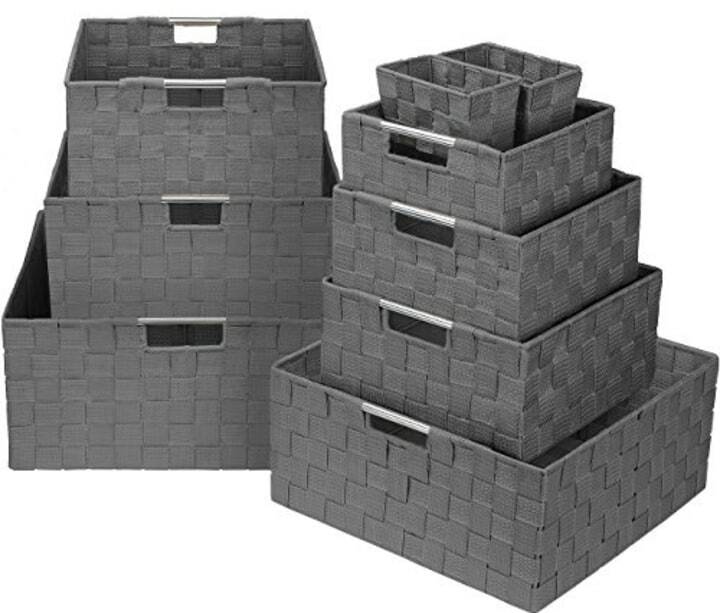 These woven baskets, which are available in five colors, come in a set of nine sizes for a uniform look throughout a closet. The right container can make doing laundry so much easier. 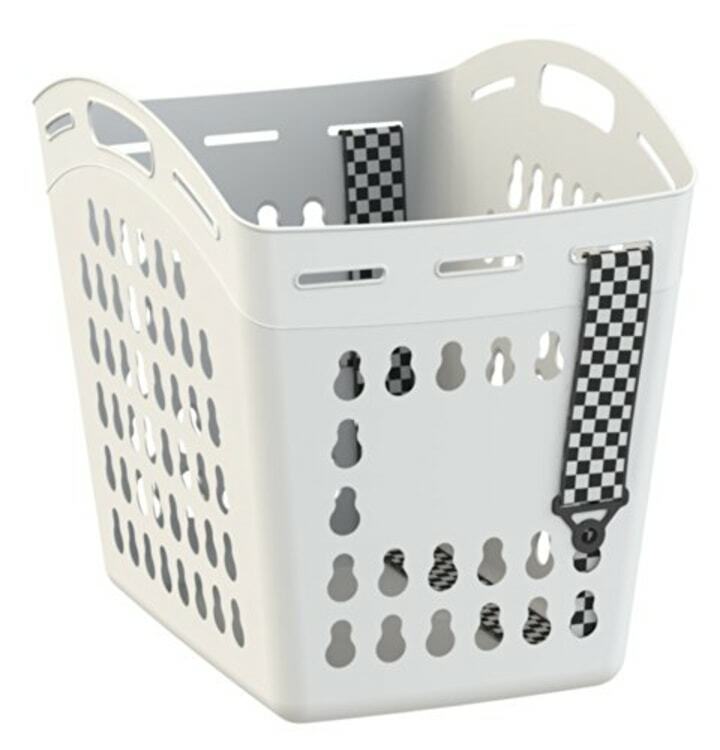 Kuper uses the United laundry basket with adjustable shoulder strap as a hamper in a closet. “It makes it easy to carry laundry down stairs or to the laundromat," she says. 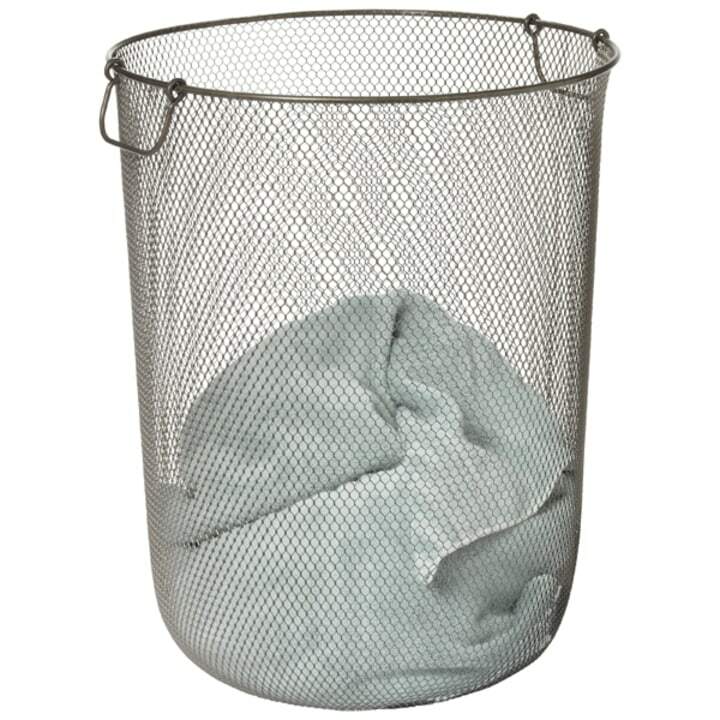 This large hamper is made of lightweight metal with reviewers writing "the best hamper I have ever purchased" and "I don't think I will ever have to buy hampers again." 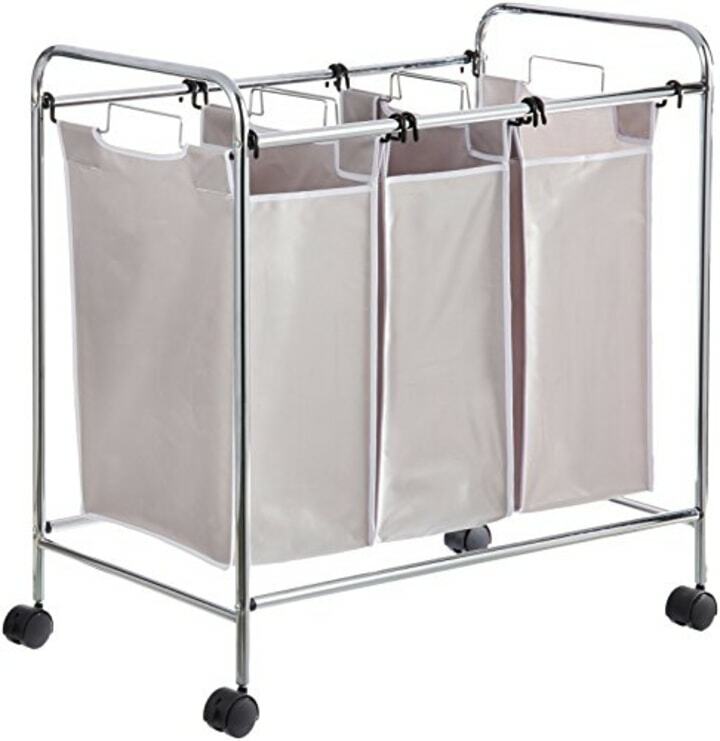 It measures 18” wide, 31" long and 33” high and the easy-rolling large wheels mean no more carrying heavy laundry baskets. There’s more than one way to use a hanger. 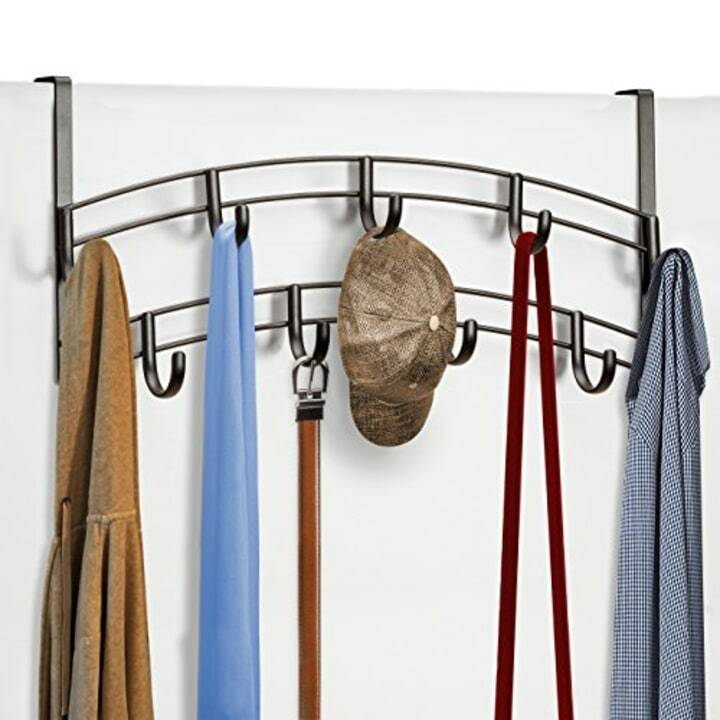 This hanger triples closet storage space by allowing you to hang up to five articles of clothing wrinkle-free on a single hanger. 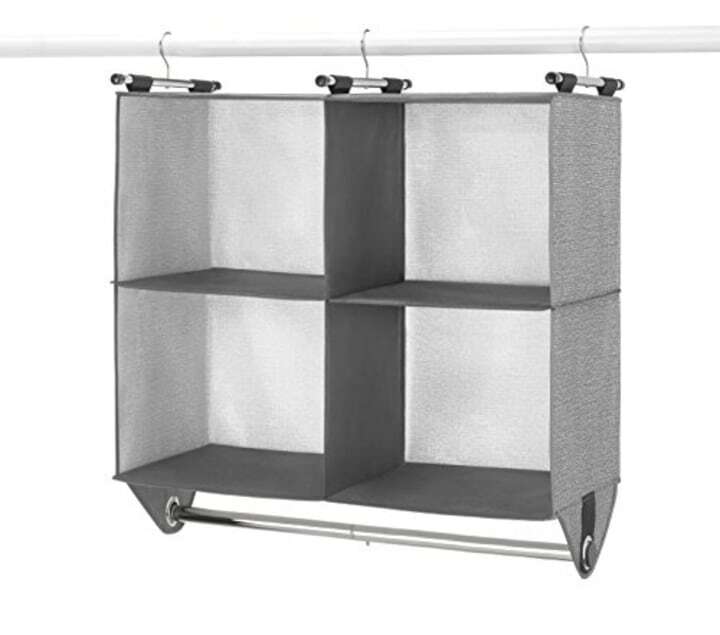 Save up to 70% of space in your closet with a sturdy hanging unit. 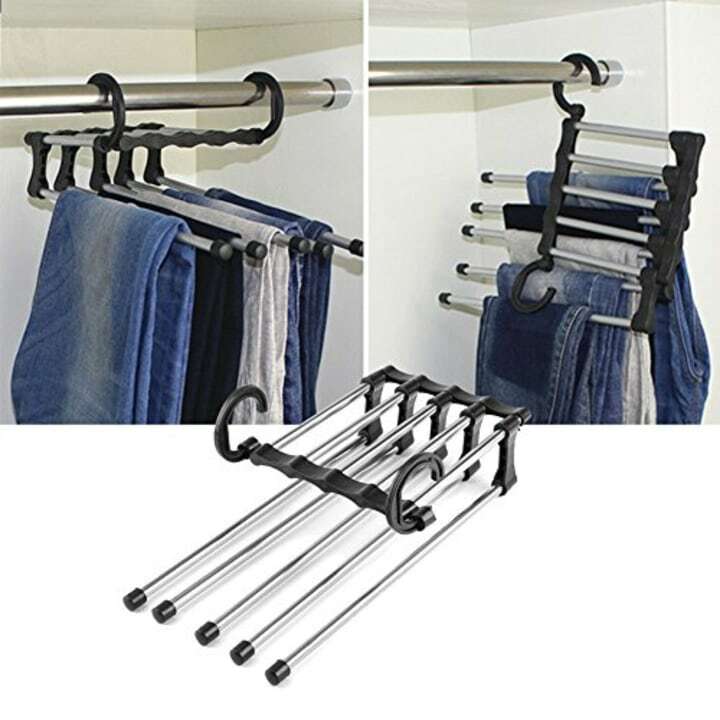 The five metal anti-slip bars make it ideal for hanging pants. 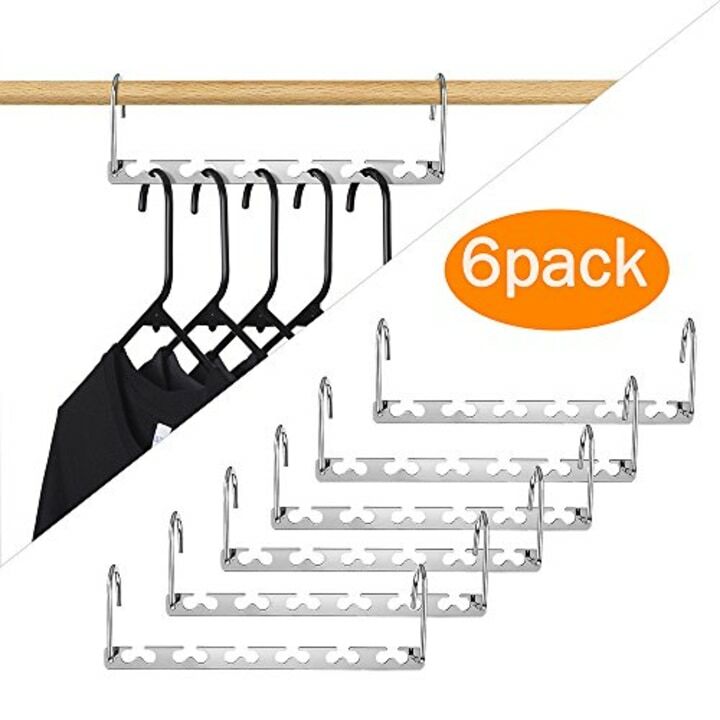 This hanger can hang five pairs of pants in the space of one hanger. 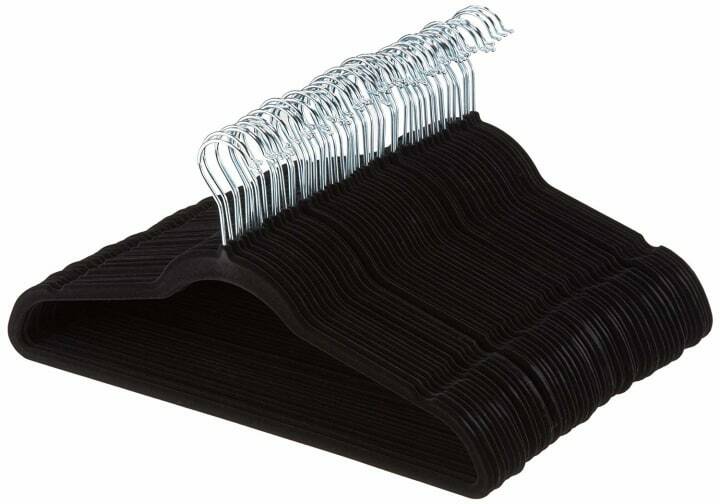 These hangers will make your closet look much more uniform and put together. Not to mention, their slim design allows more of them to fit in a contained space. Turn hanging space into storage space with these ingenious inventions. 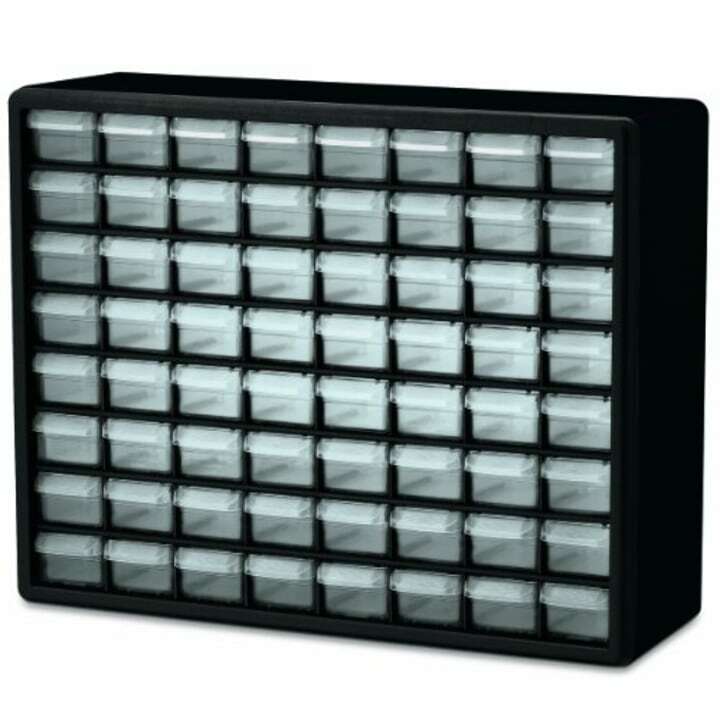 You gotta love this organizer! With four shelves to store clothing and a clothing bar for extra hanging space, it serves double-duty. 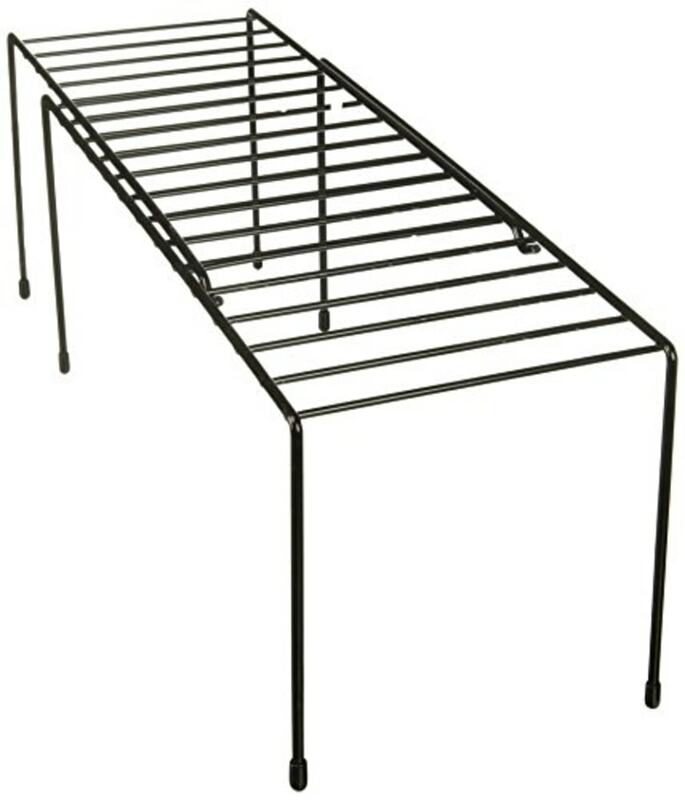 This features 2 pull-out drawers that fit underneath existing wire shelving. Plus, it's large enough for shirts and pants or multiples of socks or underwear. Five open shelves allow easy access to folded clothes. 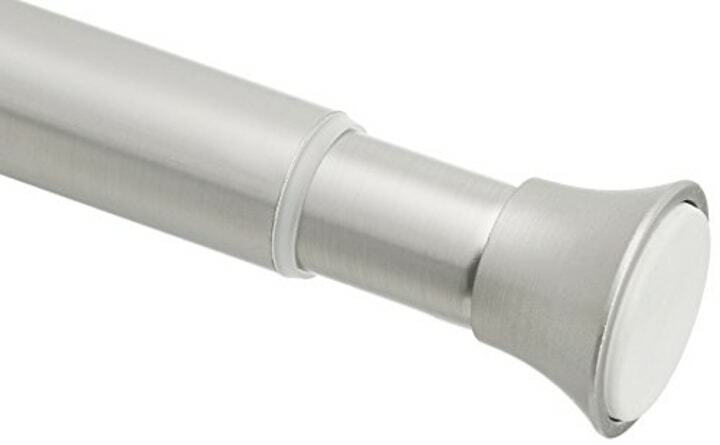 The entire unit simply hooks onto the clothing rod for easy relocation if necessary. 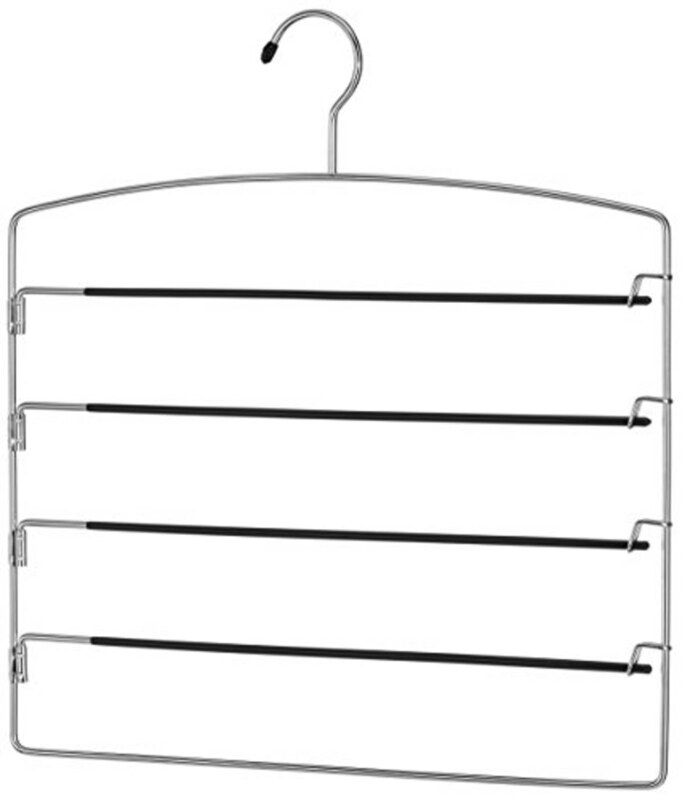 A Kuper pick, these closet bins attach to a door, rod or hanger to expand storage. 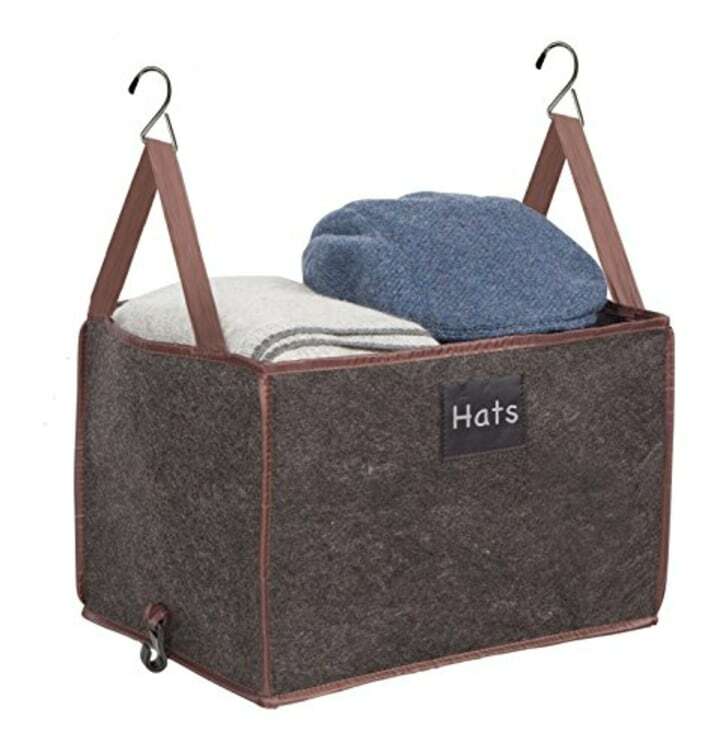 This is ideal for lightweight items and includes a middle storage area in addition to the storage pockets on the sides. 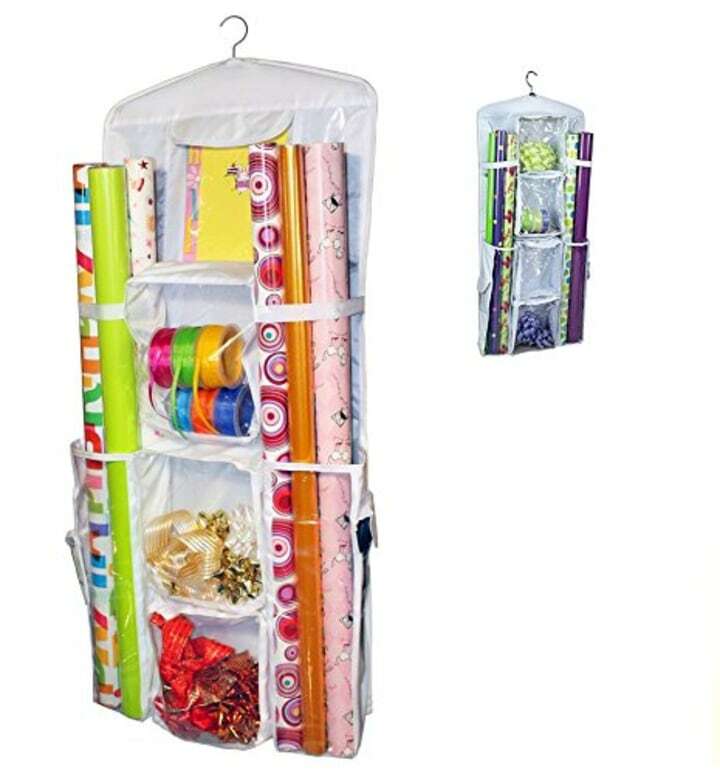 Another Kuper fave, this holds all wrapping materials from bows to tape to gift wrap. 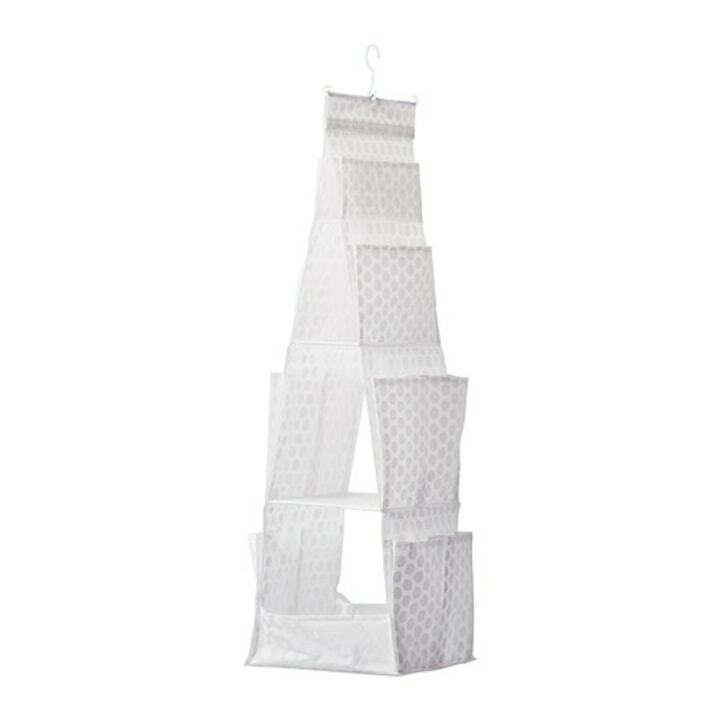 This hanging storage for baby or toddler items is a fast, easy way to organize baby’s clothing. For a quick and easy place to hang your hat, and more, try a hook. 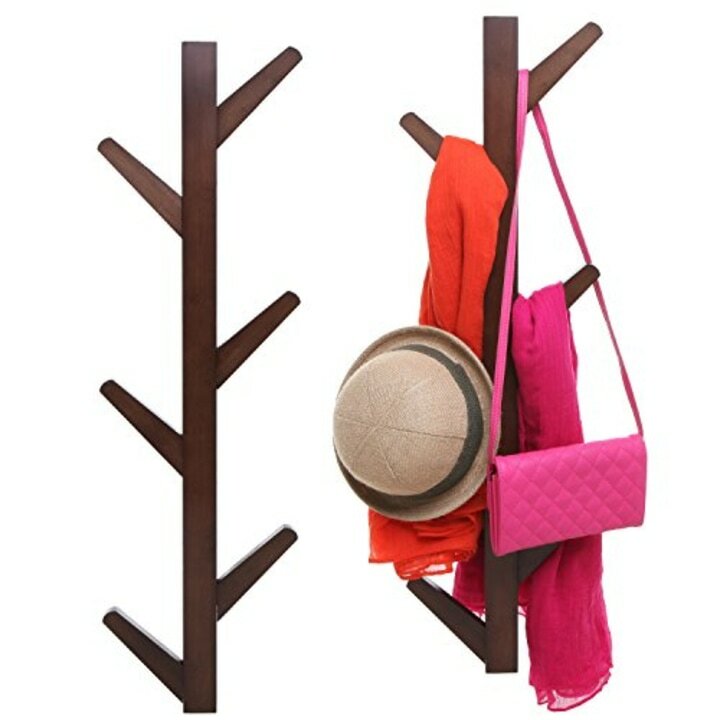 The solid wood, 6-hook hanger mounts on a wall and provides practical space for clothes, bags and shoes. These wall mounted hooks are great for corralling bags and jackets. 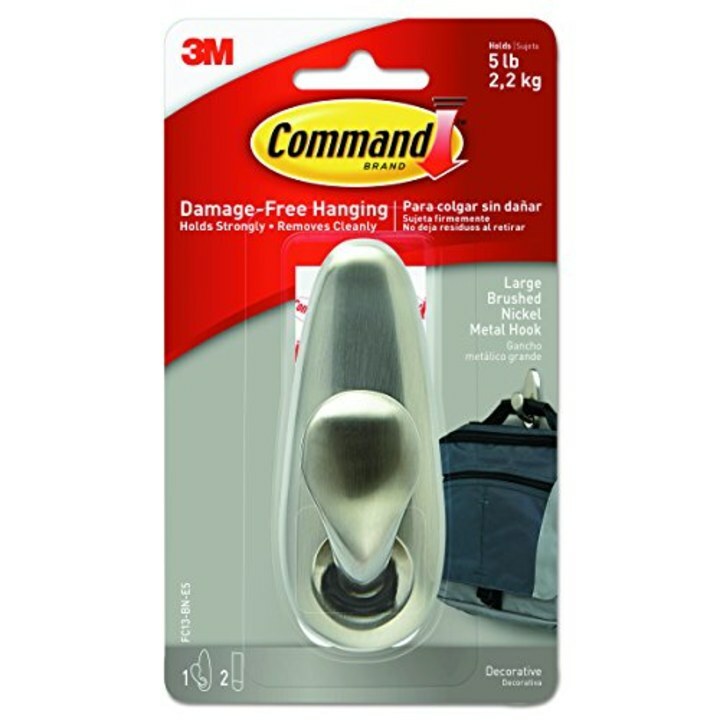 This Command hook is attractive, sturdy, easy to apply and does not damage walls. It can hold up to five pounds . Keeping rings, necklaces and earrings all in one place actually saves closet space. Each drawer is sizable and you can double the number of items in each drawer by using drawer dividers. 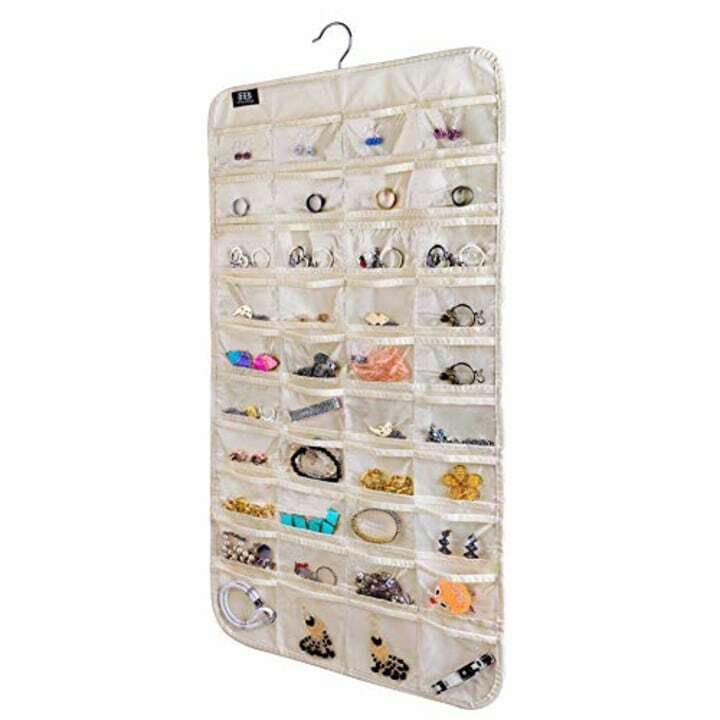 This 80-pocket hanging jewelry organizer keeps items in full view. Clear closet shelves by making the most of this wasted space. 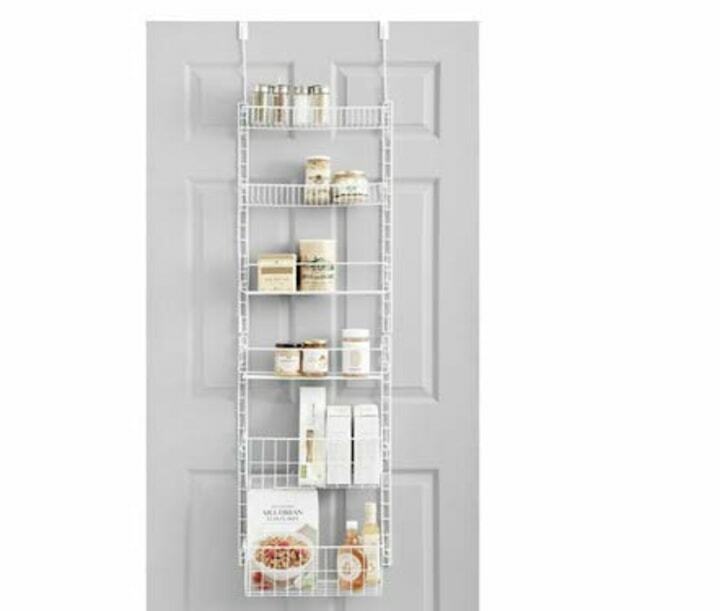 This six-shelf over-the-door pantry organizer also works great on a full-size closet door. 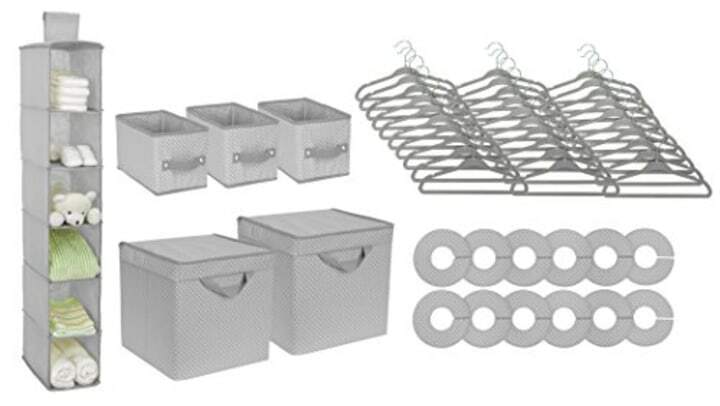 This organizer has nine hooks to hold scarves, belts, hats, jewelry and more. 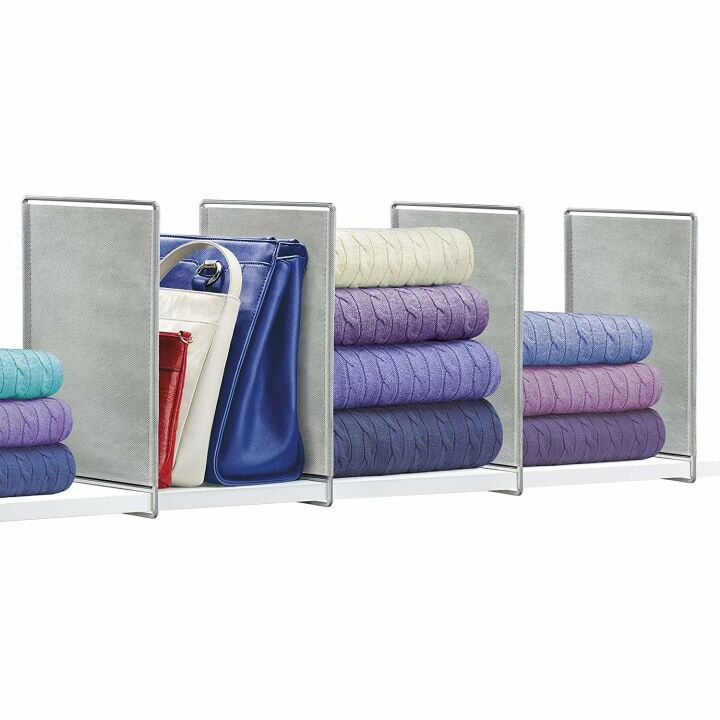 Use dividers to increase storage space on shelves, give closets an organized appearance, and keep folded items in a neat stack. 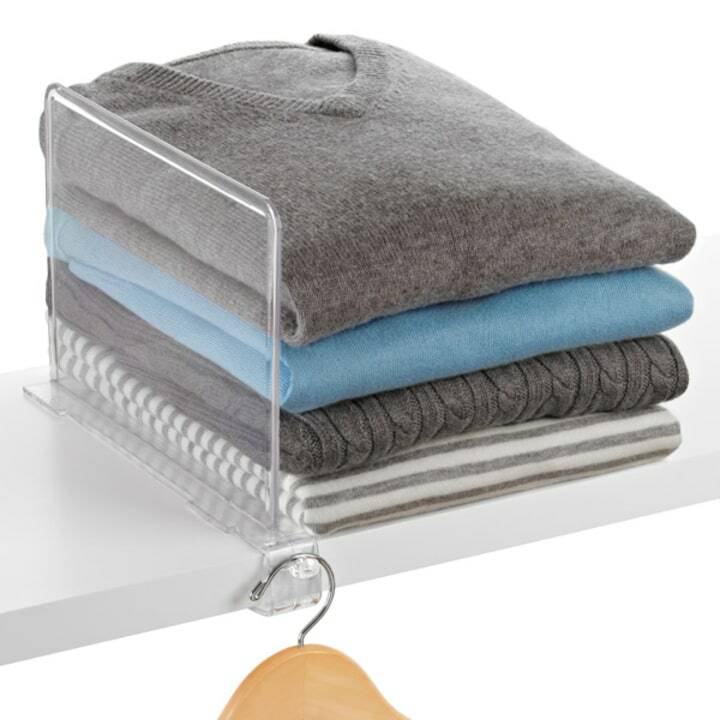 This clear shelf divider keeps folded items in a neat stack on the shelf while providing a convenient valet knob for hanging tomorrow’s outfit. 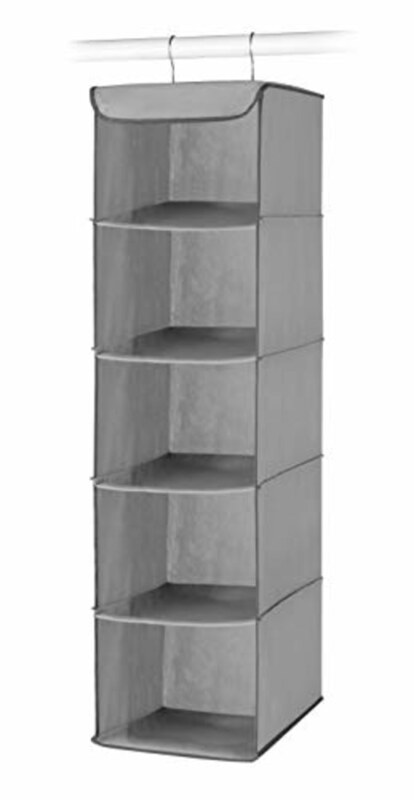 This tall shelf divider slides onto solid shelf and keeps larger items organized. 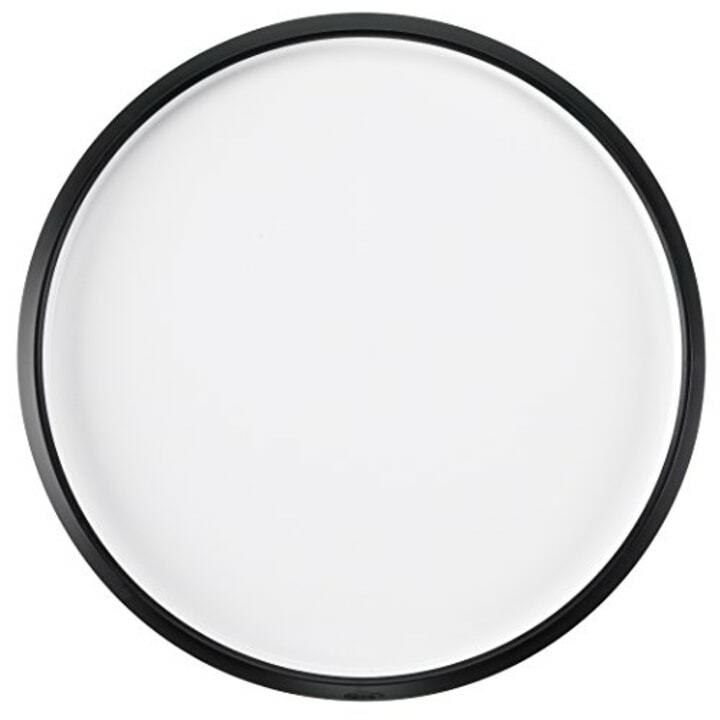 These are made of durable, non-woven polymer fabric and epoxy coated steel and simply slide over any solid shelf locking rigid and securely in place. These shelf additions make it easy to keep organized. These are viable options when you're looking to double your space. Double the amount of shelving in the closet using these metal shelves. This is great for hard to reach places. This can create more storage in any closet. Here are several ways to tame the shoe clutter. 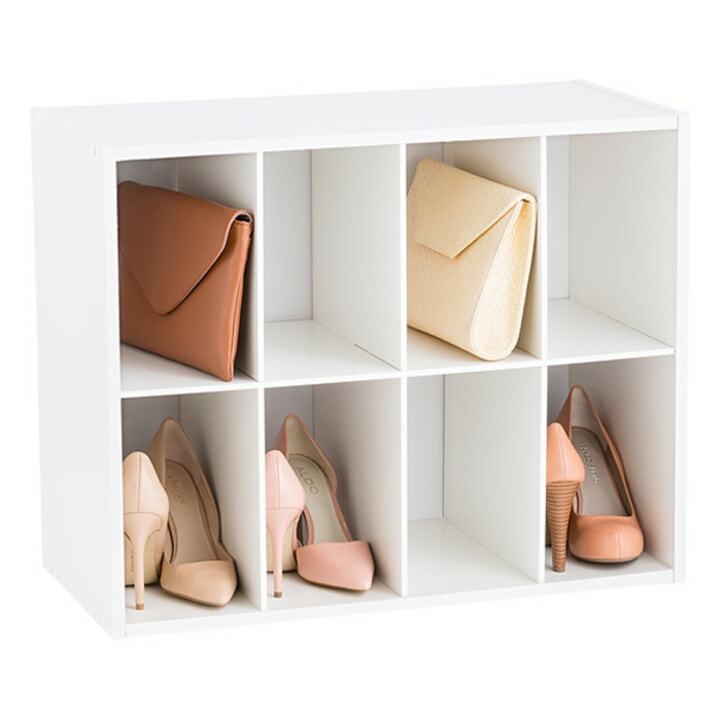 Easily separate pairs of shoes with this eight pair shoe cubby. Each bar can be flipped up to create more space for the row below, accommodating all sizes of shoes, even tall heels, high top tennis shoes or boots. This organizer neatly stores 13 pairs of shoes in large, see-through vinyl compartments. Use three tension rods and position the first rod an inch or so from the back of the closet wall and about a foot above the current shelf. Place the second rod 6” in front of the first and the third rod 6” in front of second. 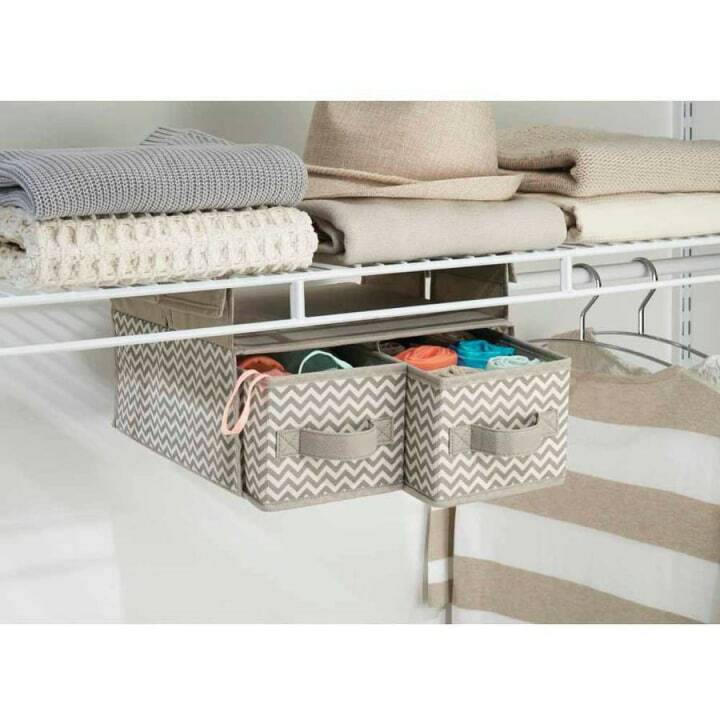 On the tension-rod shelf you just created, place baskets, bins or boxes of lightweight items such as gloves, scarves or seasonal decorations. Keep in mind that the larger the rod, the more weight it will hold. 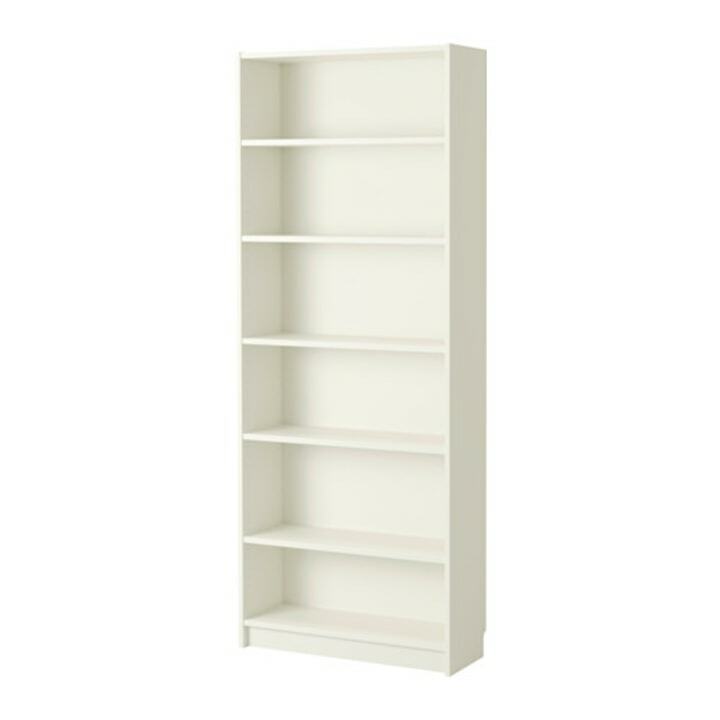 Hack IKEA’s Billy shelf for a custom-closet look. Use ready-made shelving in bedroom closets for instant storage with designer appeal. 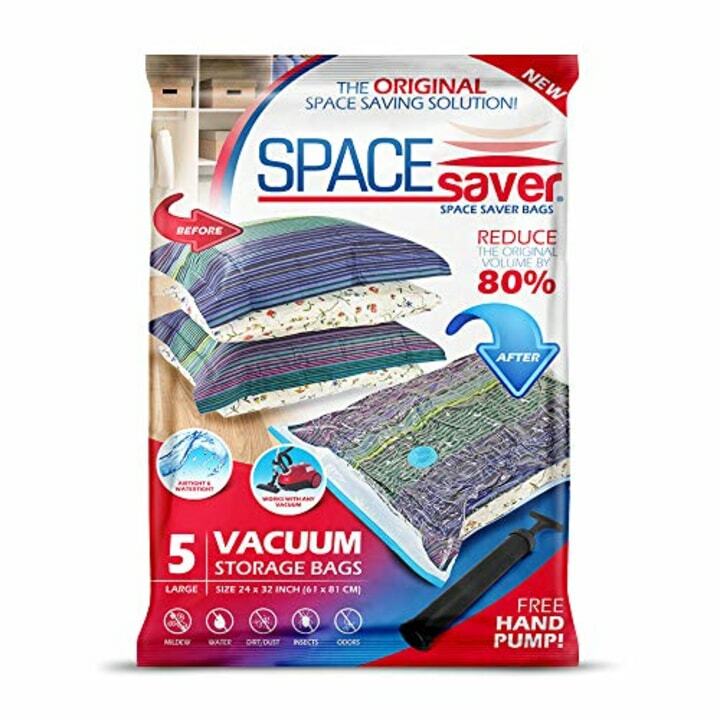 Vacuum-sealed items take up less space in the closet and this set is perfect to get you started.